Everyone is invited to a fun night of Texas Hold'Em Poker, great snacks and lots of schmoozing with old and new friends. $20 is your entrance fee. Prizes will be awarded- Join us! 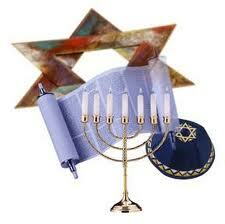 Join us when our Men's Club members will be conducting the Shabbat Service. Stay for a delicious Kiddush Lunch sponsored by the Men's Club and prepared & served by the Beth Shalom Sisterhood. Come early at 9:30am for Minyan and stay for the Men's Club monthly brunch. Instead of making breakfast at home, let our Men's Club serve you a delicious breakfast. Enjoy the food and wonderful camaraderie with old and new friends. Cost is $7 per person payable at the door. Men and Women are invited to our monthly Texas Hold'Em Poker night-- Entrance fee is $20 - Prizes will be awarded. Enjoy the game, snacks and camaraderie with old & new friends.